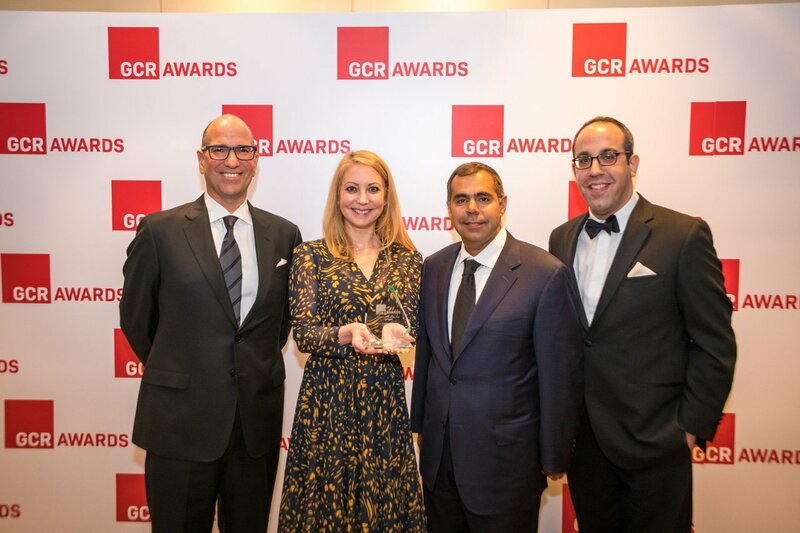 Global Competition Review honoured the best in competition enforcement, merger and cartel defence at the ninth annual GCR Awards on 26 March, with the talented team who worked on the Bayer/Monsanto/BASF merger and related divestments winning Matter of the Year. 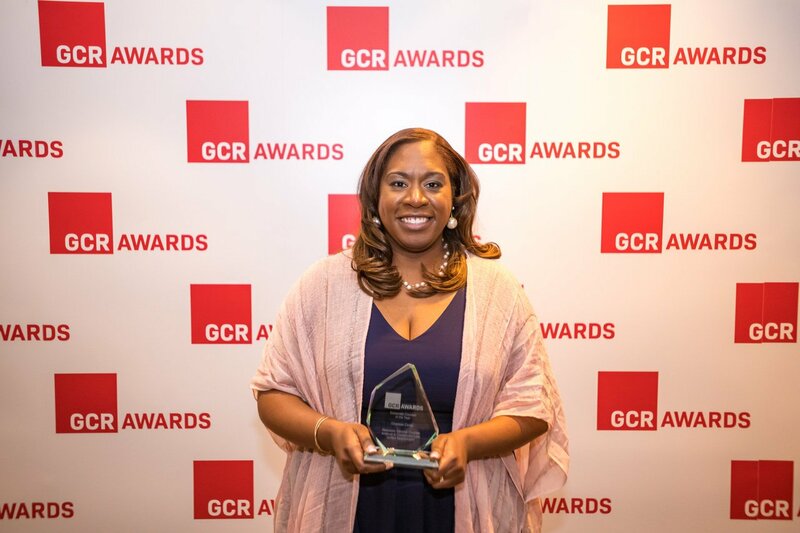 The awards ceremony, which was held at the Four Seasons in Washington, DC, and sponsored by Norton Rose Fulbright and Gleiss Lutz, celebrated the accomplishments of lawyers and economists from around the world. 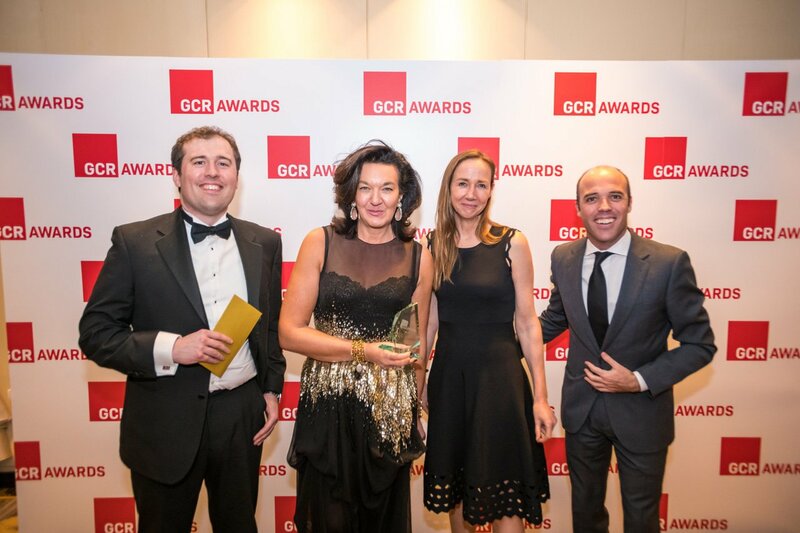 The Australian Competition and Consumer Commission took home the award for Government Agency of the Year, while the European Commission won the prize for Enforcement Action of Year for its Android decision. 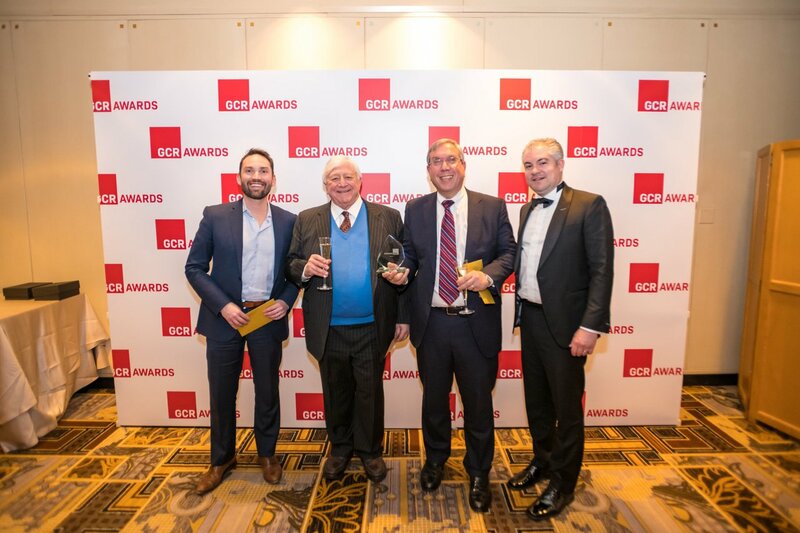 Blake Cassels & Graydon in Canada won the award for Regional Firm of the Year for the Americas, while Germany’s Hengeler Mueller snagged the prize for Europe. 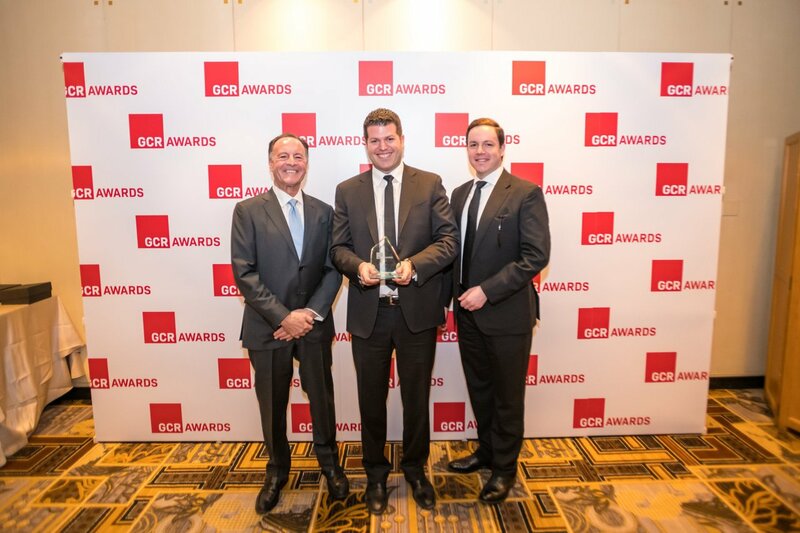 Allen & Gledhill in Singapore won the award for Asia-Pacific, Middle East and Africa. 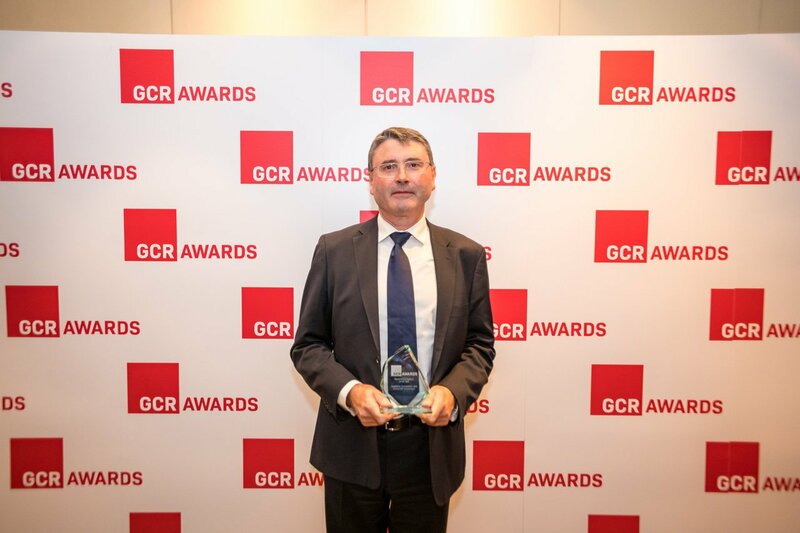 A group of firms including Cleary Gottlieb Steen & Hamilton and WilmerHale won the award for Litigation of the Year - Cartel Defence for their work defending car part manufacturers in the Automotive Parts antitrust litigation. 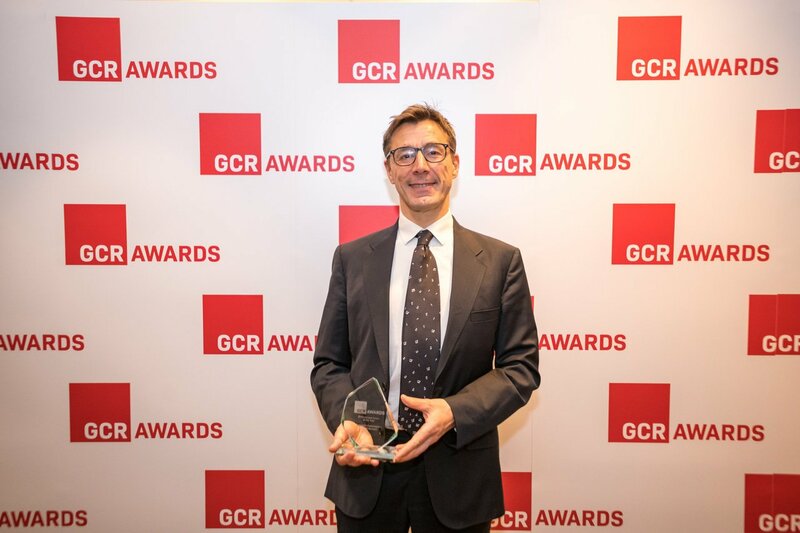 This year, two cases shared the award for Behavioural Matter of the Year for the Americas, including the Mexican abuse of dominance in gas market remedies and Ohio v American Express. 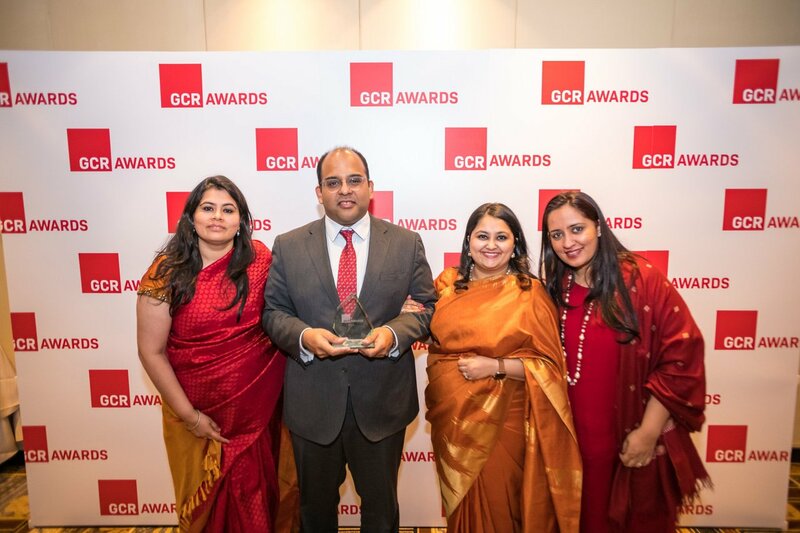 Yandex and FairSearch’s complaint against Google Android won that award for Europe, while Shardul Amarchand Mangaldas & Co was honoured for its work on Matrimony’s abuse of dominance complaint against Google in India. In deals, AT&T/Time Warner won Merger Control Matter of the Year in the Americas; Bayer/Monsanto/BASF won in Europe; and United Technologies/Rockwell Collins won for Asia-Pacific, the Middle East and Africa. 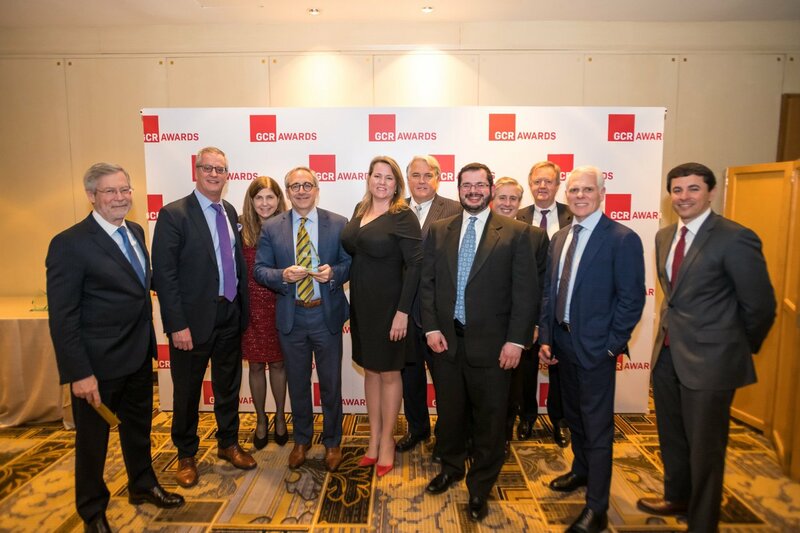 Latham & Watkins and Proskauer Rose won the award for Litigation of the Year - Non-cartel Defence for their work on North American Soccer League v US Soccer Federation, while the Auto Parts antitrust litigation won again for cartel defence. 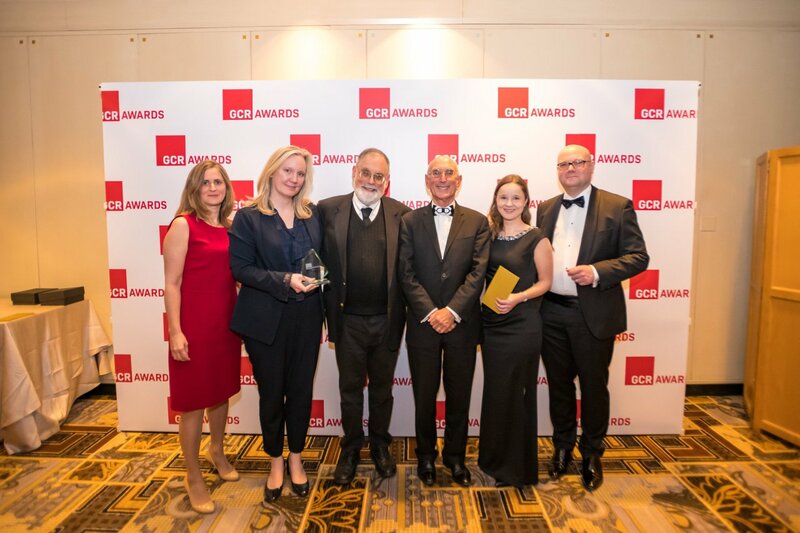 The Vitamin C (Animal Science Products v HeBei Welcome Pharmaceutical) case took the win for Litigation of the Year - Cartel Prosecution and Arista Networks v Cisco Systems won the award for Non-Cartel Prosecution. As for individual awards, attorney Michael Hausfeld, founding partner of Hausfeld, took home the prize for lawyer of the year. 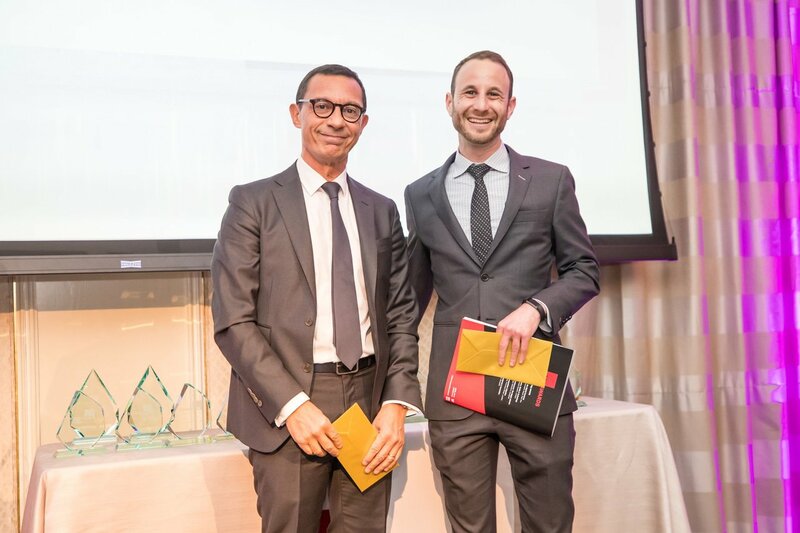 The litigator of the year award went to Mark Sansom, a partner at Freshfields Bruckhaus Deringer in London, while the academic or advocacy award went to Pablo Ibáñez Colomo at the College of Europe and the London School of Economics and Political Science. 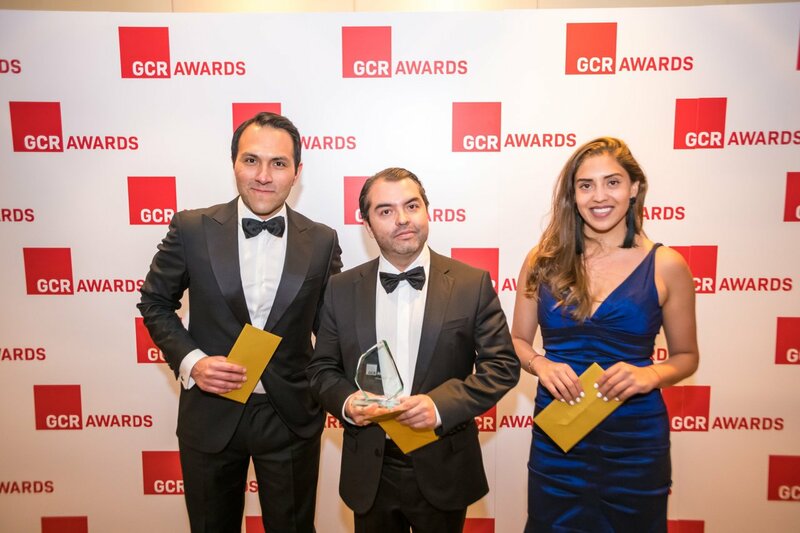 Charlesa Ceres, associate general counsel of antitrust and competition law at United Technologies, was named corporate counsel of the year, while Garrigues partner Alfonso Lamadrid de Pablo was awarded lawyer of the year under 40. 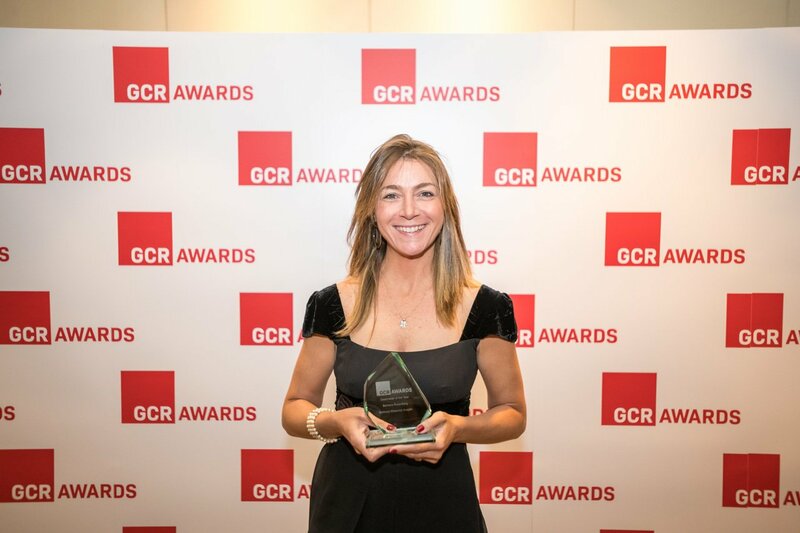 Yale University professor and Charles River Associates consultant Fiona Scott Morton was named economist of the year, while Barbara Rosenberg, a partner at Barbosa Müssnich Aragão in Brazil, took home the dealmaker of the year trophy. 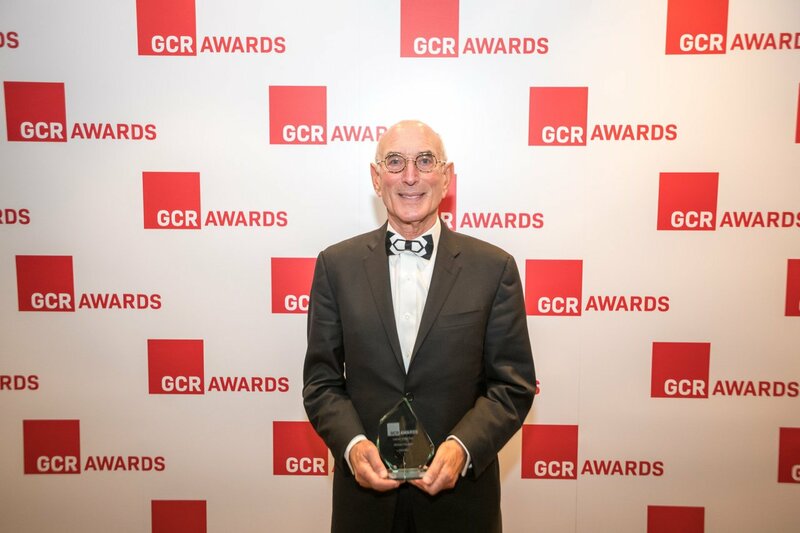 Hogan Lovells partner Janet McDavid and Freshfields Bruckhaus Deringer partner John Davies rounded-out the evening by collecting lifetime achievement award honours. For merger control matter of the year – Americas, the shortlist was: ArcelorMittal/Votorantim Siderurgia; AT&T/Time Warner; Cigna/Express Scripts; CVS/Aetna; Energizer/Spectrum; Northrop Grumman/Orbital ATK; and Suzano Pulp and Paper/Fiberia Celulose. AT&T/Time Warner won. Counsel to AT&T and Time Warner was O’Melveny & Myers. Counsel to AT&T was Trench Rossi e Watanabe and Gibson Dunn & Crutcher. Counsel to Time Warner was Amaral Gurgel and Cravath Swaine & Moore, with economics advice provided by Cornerstone Research. 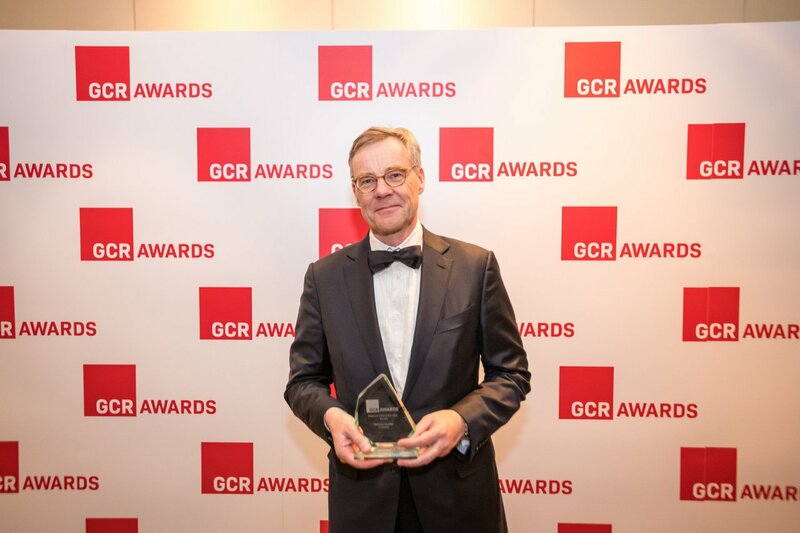 For merger control matter of the year – Europe, the shortlist was: ABB/GE Industrial Solutions; Accuride/Mefro Wheels; Bayer/Monsanto/BASF; Microsoft/Github; Praxair/Linde; Takeda Pharmaceutical Company/Shire; T-Mobile/Tele2; and 21st Century Fox/Sky. Bayer/Monsanto/BASF won. Counsel to Bayer was Sullivan & Cromwell and Hogan Lovells. Counsel to Monsanto was Arnold & Porter, Baker McKenzie, Clifford Chance and Dechert. Counsel to BASF was Weil Gotshal & Manges and Freshfields Bruckhaus Deringer. For merger control matter of the year – Asia-Pacific, Middle East and Africa, the shortlist was: Devkom/Mantis; ENGIE’s sale of Glow to Global Power Synergy; Grab/Uber; Luxottica/Essilor; SK Hynix/Toshiba; United Technologies/Rockwell Collins; and Walmart/Flipkart. United Technologies/Rockwell Collins won. Counsel to United Technologies was Cleary Gottlieb Steen & Hamilton, Wachtell Lipton Rosen & Katz, Crowell & Moring, Stikeman Elliott, Machado Meyer, Yoon & Yang and Broad & Bright. Counsel to Rockwell Collins was Kim & Chang, TozziniFreire and Skadden Arps Slate Meagher & Flom. 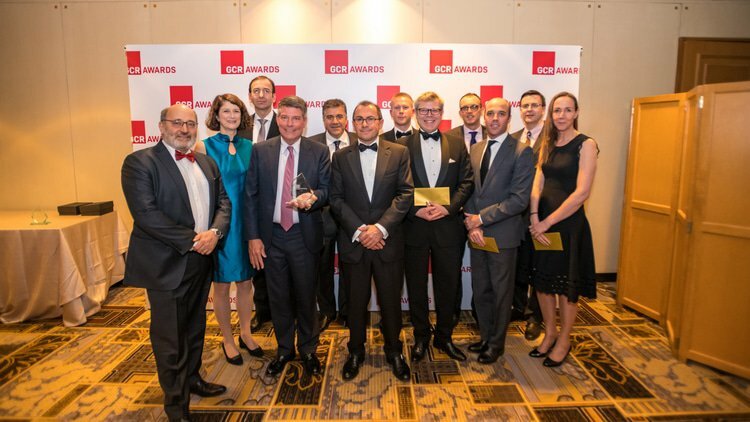 For litigation of the year – cartel defence, the shortlist was: Auto Parts antitrust litigation; BritNed v ABB; C&S Wholesale Grocers; Kleen Products v International Paper; Korean Ramen antitrust litigation; and Lithium-ion Batteries antitrust litigation. Auto Parts antitrust litigation won. Counsel to NTN Bearing Corporation was Winston & Strawn and Kerr Russell and Weber. Counsel to JTEKT Group was Shearman & Sterling. Counsel to SKF was Reed Smith and Dykema Gossett. Counsel to Nachi-Fujikoshi was Lane Powell and Kemp Klein. Counsel to NSK was Cleary Gottlieb Steen & Hamilton and Honigman. Counsel to Schaeffler Group was WilmerHale. For litigation of the year – non-cartel defence, the shortlist was: Asacol antitrust litigation; Comcast v Viamedia; General Electric and IATA engine maintenance abuse of dominance dispute; North American Soccer League v US Soccer Federation; United Food and Commercial Workers Union v Novartis; and US Futures Exchange v Board of Trade of City of Chicago. North American Soccer League v US Soccer Federation won. Counsel to US Soccer Federation was Latham & Watkins. Counsel to Major League Soccer was Proskauer Rose. For litigation of the year – cartel prosecution, the shortlist was: Alston v National Collegiate Athletics Association; Libor-based financial instruments; and Vitamin C (Animal Science Products v HeBei Welcome Pharmaceutical). Vitamin C won. Counsel to Animal Science Products was Susman Godfrey, Boies Schiller Flexner and Hausfeld. For litigation of the year – non-cartel prosecution, the shortlist was: Arista Networks v Cisco Systems; Shuffle Tech International v Scientific Games; Steves & Son v Jeld-Wen; and Walter Merricks v Mastercard. Arista Networks v Cisco Systems won. Counsel to Arista Networks was Cozen O’Connor, Tensegrity Law Group, Wilson Sonsini Goodrich & Rosati and Keker Van Nest & Peters. For behavioural matter of the year – Americas, the shortlist was: CADE probe into enforcement of design patents in Auto Parts aftermarket; CADE settlements in electronic payments market; CADE soda ash cartel probe; Maruyasu Industries in Auto Parts; Mexican abuse of dominance in gas market remedies; Ohio v American Express; and US v Usher, Ramchandani and Ashton. Mexican abuse of dominance in gas market remedies and Ohio v American Express won. Counsel to Infra was Von Wobeser y Sierra. Counsel to Praxair was Castañeda & Associates. Counsel to American Express was Cravath Swaine & Moore and Munger Tolles & Olson. 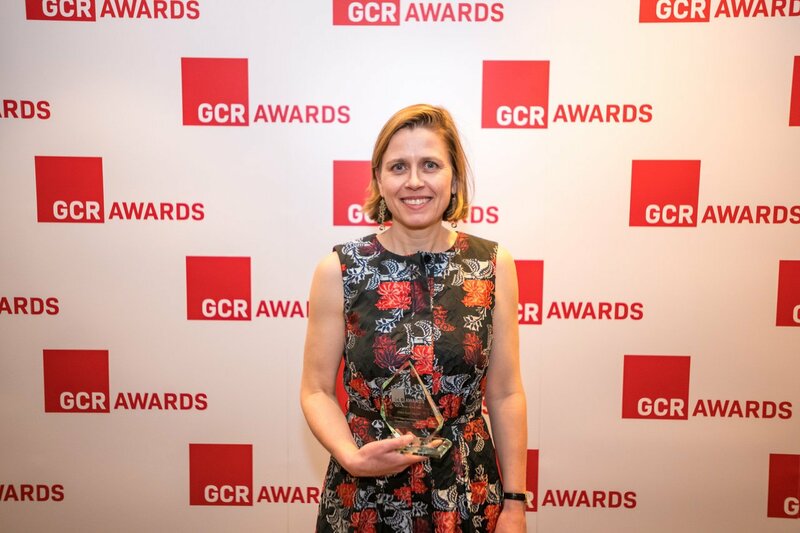 For behavioural matter of the year – Europe, the shortlist was: Bundeskartellamt v Heidemark Masterkreis; Servier v European Commission; and Yandex and FairSearch complaint against Google Android. Yandex and FairSearch complaint against Google Android won. Counsel to Yandex was Freshfields Bruckhaus Deringer. Counsel to FairSearch was Clifford Chance with economics advice provided by Charles River Associates. 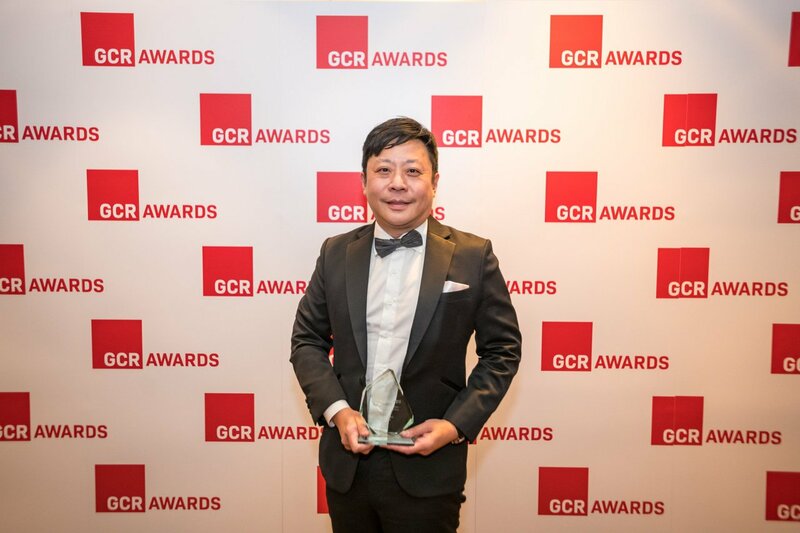 For behavioural matter of the year – Asia-Pacific, Middle East and Africa, the shortlist was: Competition Commission (Hong Kong) v Nutanix, BT Hong Kong, SiS International, Innovix Distribution and Tech-21 Systems; Indo National in flashlights cartel in India; and Matrimony’s abuse of dominance complaint against Google in India. Matrimony’s abuse of dominance complaint against Google in India won. Counsel to Matrimony.com was Shardul Amarchand Mangaldas & Co.
For matter of the year, the shortlist was: AT&T/Time Warner; Bayer/Monsanto/BASF; Luxottica/Essilor; Ohio v American Express; Praxair/Linde; UPS/TNT v European Commission; and United Technologies/Rockwell Collins. Bayer/Monsanto/BASF won. Counsel to Bayer was Stikeman Elliott, Sullivan & Cromwell and Hogan Lovells. Counsel to Monsanto was Arnold & Porter, Baker McKenzie, Davies Ward Phillips & Vineberg, Clifford Chance, Dechert and Shardul Amarchand Mangaldas & Co. Counsel to BASF was Weil Gotshal & Manges and Freshfields Bruckhaus Deringer, with Tauil & Chequer in Brazil and Fasken Martineau DuMoulin in Canada. 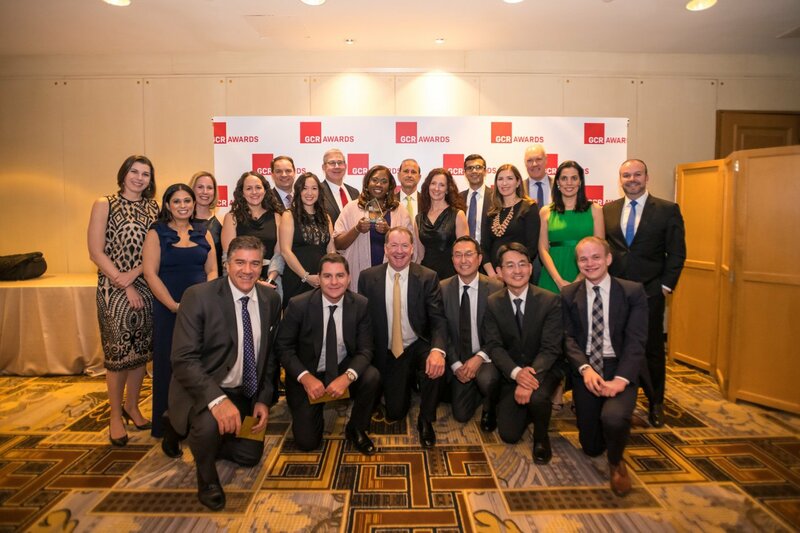 For regional firm of the year – Americas, the shortlist was: Blake Cassels & Graydon; Cravath Swaine & Moore; Creel García-Cuéllar Aiza y Enríquez; Mattos Filho; Pinheiro Neto; Robins Kaplan; Stikeman Elliott; and TozziniFreire. Blake Cassels & Graydon won. 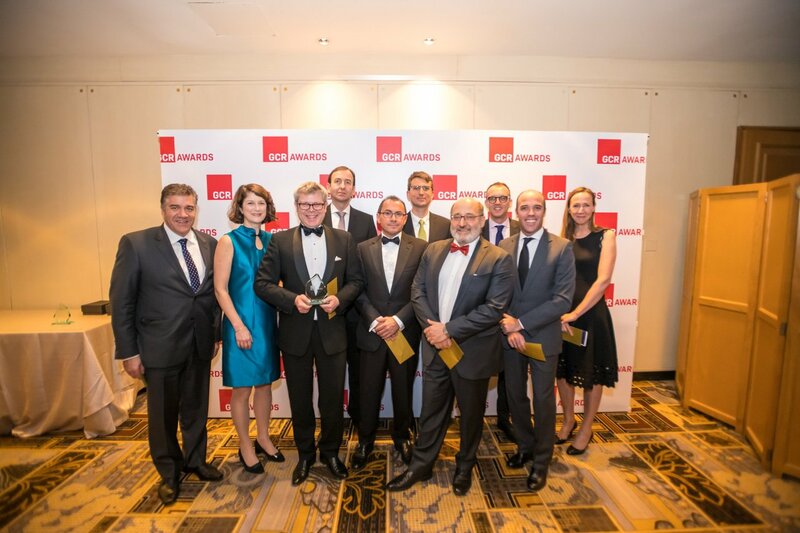 For regional firm of the year – Europe, the shortlist was: Euclid Law; Garrigues; Gleiss Lutz; and Hengeler Mueller. Hengeler Mueller won. For regional firm of the year – Asia-Pacific, Middle East and Africa, the shortlist was: Allen & Gledhill; MinterEllison; Rajah & Tann Asia; Russell McVeagh; Shardul Amarchand Mangaldas & Co; and Yulchon. Allen & Gledhill won. For government agency of the year, the shortlist was: Australian Competition and Consumer Commission; Canada’s Competition Bureau; Massachusetts Attorney General’s Office, Antitrust Division; and Portugal’s Competition Commission. The ACCC won. For enforcement action of the year, the shortlist was: the European Commission’s Android decision; Latvian Supreme Court ruling against the collective copyright management association AKKA/LAA for excessive pricing; US Federal Trade Commission v Wilhelm Wilhelmsen; and Washington State Attorney General challenged to no-poach franchise agreements. The European Commission’s Android decision won. 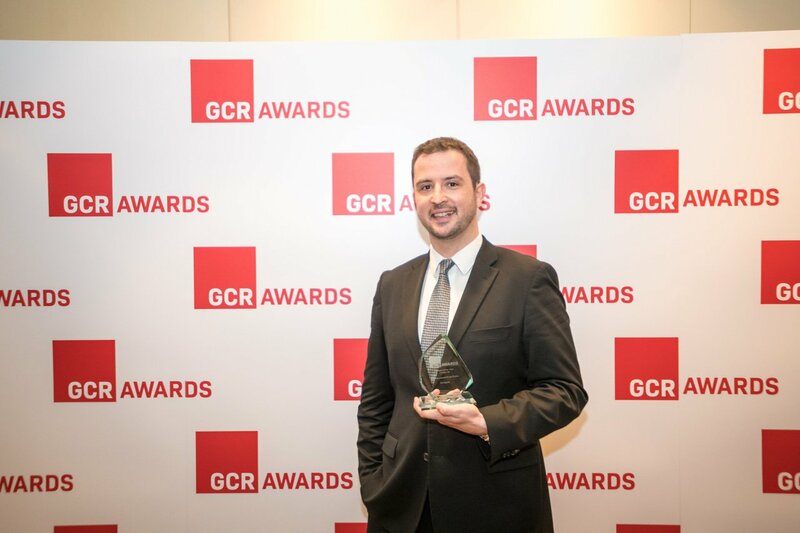 For the academic or advocacy award, the shortlist was: Pablo Ibáñez Colomo at the College of Europe and the London School of Economics and Political Science; The Global Antitrust Institute of George Mason University; The Open Markets Institute; and Thibault Schrepel of Utrecht University. Pablo Ibáñez Colomo won. For economist of the year, the shortlist was: Helen Jenkins at Oxera; Liberty Macebo Mncube at the Competition Commission of South Africa; James Mellsop at NERA Economic Consulting; Aviv Nevo at University of Pennsylvania and Cornerstone Research; Jorge Padilla at Compass Lexecon; Subbu Ramanarayanan at NERA Economic Consulting; and Fiona Scott Morton at Yale University and Charles River Associates. Fiona Scott Morton won. For corporate counsel of the year, the shortlist was: Charlesa Ceres at United Technologies; Maria Cecilia Andrade at Odebrecht; Kathleen Dierkx at Solvay; Paul Fort at Bayer; Wolfgang Heckenberger at Siemens; Julia Holtz at Visa; Jan Lohrberg at Deutsche Telekom; and Alexander Lunshof at Essilor International. Charlesa Ceres won. For litigator of the year, the shortlist was: Rachel Adcox at Axinn Veltrop & Harkrider; Evan Chesler at Cravath Swaine & Moore; J. Mark Gidley at White & Case; Jeffrey Kessler at Winston & Strawn; Frances Murphy at Morgan Lewis & Bockius; Hollis Salzman at Robins Kaplan; Mark Sansom at Freshfields Bruckhaus Deringer; and Daniel Wall at Latham & Watkins. Mark Sansom won. For lawyer of the year under 40, the shortlist was: Ricardo Casanova Motta at Grinberg e Cordovil; Brianne Kucerik at Weil Gotshal & Manges; Alfonso Lamadrid de Pablo at Garrigues; Creighton Macy at Baker McKenzie; Carlos Mena Labarthe at Creel García-Cuéllar Aiza y Enríquez; Alyssa Phillips at Ashurst; William Turtle at Slaughter and May; and Johan Van Acker at Van Bael & Bellis. Alfonso Lamadrid de Pablo won. 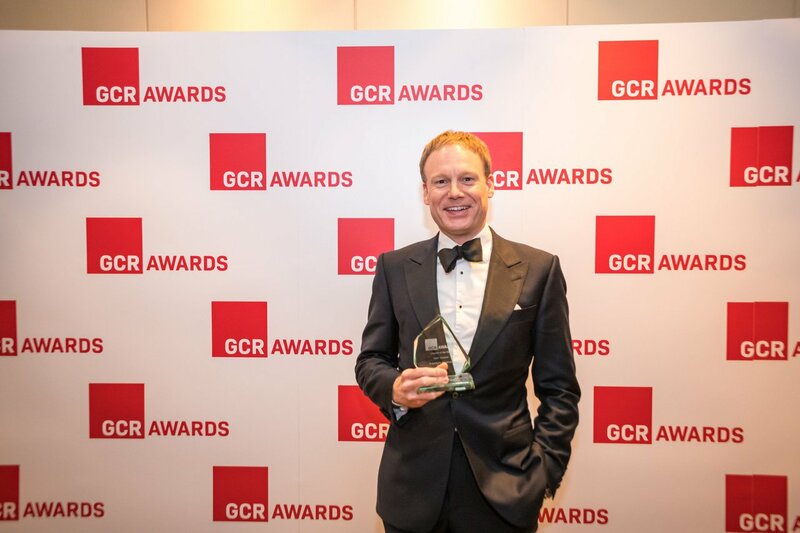 For dealmaker of the year, the shortlist was: Peter Armitage at Ashurst; Clifford Aronson at Skadden Arps Slate Meagher & Flom; Antonio Bavasso at Allen & Overy; Steven Holley at Sullivan & Cromwell; Jenine Hulsmann at Clifford Chance; Mary Lehner at Freshfields Bruckhaus Deringer; Matthew Reilly at Kirkland & Ellis; and Barbara Rosenberg at Barbosa Müssnich Aragão. Barbara Rosenberg won. For lawyer of the year, the shortlist was: Leonor Cordovil at Grinberg e Cordovil; Brian Facey at Blake Cassels & Graydon; Michael Hausfeld at Hausfeld; Claire Jeffs at Slaughter and May; Scott Sher at Wilson Sonsini Goodrich & Rosati; Steven Sunshine at Skadden Arps Slate Meagher & Flom; and Antoine Winckler at Cleary Gottlieb Steen & Hamilton. Michael Hausfeld won.